To meet every child’s needs by offering a secure and warm environment that compliments both home and school through a variety of structured and non-structured activities, which foster social, emotional, and intellectual growth of each child. We hope everyone is excited as we are as we begin a new school year at Junaluska Elementary School, and especially Kids’ Club! Our Kids’ Club has lots of great things planned for this year. First, and most importantly, we will be getting to know one another as both old and new friends. Secondly, we are going to enjoy a full schedule each day with snacks, outdoor recreation, homework time, story/reading time, arts and crafts, games, special guests, and some “extra-special days” throughout the school year. Kids’ Club begins August 24th. Please be sure to read the copy of the Kids’ Club Policies and Procedures. It contains important information about our after-school program. Please be sure your child’s application information is current and complete for the 2017-2018 school year. Otherwise, your child will not be able to attend and participate in Kids’ Club. Remember, payment is due each MONDAY for the week. If payment is not received, your child will not be able to participate until payment is made. This includes both private and subsidy payments. We are looking forward to a GREAT year in our Kids’ Club!!! Thank you for entrusting your child/children to our care AND for your support for Junaluska Elementary School this year! 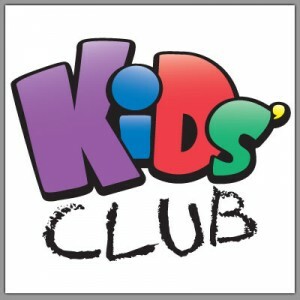 Hours of Kids’ Club in Monday through Friday from 3pm to 6pm. Planned activities such as outdoor recreation, homework time (grades 3-5), story/reading time, arts and crafts, games, etc. A healthy snack and drink will be provided each day. We will be closed all school workdays and holidays. If school dismisses BEFORE NOON due to inclement weather, Kids’ Club WILL NOT OPERATE. If school dismisses AFTER NOON due to inclement weather, Kids’ Club will operate for 3 hours after dismissal time, unless weather conditions worsen. With worsening conditions, our staff WILL BEGIN TO CALL YOU to arrange for your child/children to be picked up as soon as possible. Cost: 1st and 2nd day–$8. First child is $35 per week; additional child is $25 per week. If your child attends Kids’ Club THREE or more days a week, you will be charged the weekly rate. PRE-PAYMENT WILL BE REQUIRED ON MONDAY OF EACH WEEK. Subsidy payments will be due the first Monday of each month. If payment is not received, your child will not be allowed to attend Kids’ Club until the payment is made current. (If you plan on using Kids Club as a tax deduction, please save your receipts as we do not provide such information during tax season). Information: All parent information is posted on the bulletin board outside of the cafeteria. Kids’ Club has an “open door” policy and out staff is available at any time. Snacks: A healthy snack is provided daily and is included in the cost of attendance. Sign out procedure: There will be a sign out sheet with a staff member at all times. YOU MUST SIGN OUT YOUR CHILD EACH DAY WITH THE CORRECT TIME OF PICK-UP NOTED while informing our staff of your child leaving. Emergency Contacts: Please make sure our records are current, including home, work, and cell phone numbers, address, and emergency contact information. We must be able to contact you at all times, if needed. Behavior: We are committed to providing a nurturing and positive environment for all our children. We first discuss problems and solutions with our children, using “time out” for the first offense. Upon a second offense, the Director may request a meeting with the child and his/her parent/guardian. If problems continue, the child will be sent to the principal and/or may be suspended from Kids’ Club. Homework: Children will be given up to one hour every day to work on homework. It is expected that students in grades 3-5 will work on homework. It is the parent/guardian’s responsibility to check their child’s agenda book and insure that the homework is complete and correct. Kids’ Club staff will be available to assist your children. Personal Items: Please make sure your child does not bring anything of value to Kids’ Club. Kids’ Club staff IS NOT responsible for lost items. Please be especially mindful that electronic devices are prohibited in accordance to the Junaluska Elementary School Handbook. Cell phones should remain is your child’s backpack and turned off according to school board policy, only if the school has a letter from the parent/guardians concerning the cell phone. Early dismissals: If school closes due to inclement weather before noon, Kids’ Club will not operate. If school closes after noon, Kids’ Club will operate until 6:00pm unless weather conditions worsen. Pick Up: EVERY CHILD MUST BE PICKED UP BY 6:00PM OR THERE WILL BE A LATE FEE OF $1 PER MINUTE THAT MUST BE PAID BEOFRE YOUR CHILD WILL BE ALLOWED TO RETURN. At Junaluska Elementary School Kids’ Club, our goal is to offer children a well-balanced program. While we understand the importance that homework plays in the life of a child, as well as for the families we serve, we strive to meet the needs of the WHOLE child. In addition to helping children meet personal academic goals, we recognize our responsibility to give children a chance to socialize, have un-structured play (in well-developed centers both indoors and out), have time outdoors, and have a nutritious snack. Our schedule reflects current research showing children concentrate better and produce more work when they have had a chance for a physical break, first. Our schedule also reflects current licensing standards to take children outside every day, as weather permits. Therefore, outdoor time is our first activity after arrival and snack. In addition, as a licensed program, we meet the NC Division of Child Development requirement to offer at least three activity choices during a 3-hour time frame. Our philosophy is that children learn and grow through play. We reinforce this by having materials and activity choices that support the North Carolina General Course of Study.